Each time you eat more than your body needs, you put extra stress on your body. Excessive eating, even on raw foods, is a dispensed violence you perform against your body. But isn't food essential in order to survive in this world? How much food does one need? Enough, I submit--and not an ounce more! For different people, the amount will vary greatly. The small amount that will kill one individual because of the detox symptoms it will initiate will make another live a non-aging life. Our goal should be to eat as little as possible without creating a nutritional deficiency. Eating itself is inherently destructive. It appears that we cultivate greater life-sustaining energy through smaller amounts of food. In fact, the healthy body's daily requirements of vitamins and minerals are less than a thimbleful--a very small amount compared to what we're accustomed to believe. After a certain time, the body can accommodate little or no eating for some time. Healing properties of 2 meals per day plan have been known for a long time. "A man in full health can live at his best on from eight to twelve ounces of dry solid food a day—wheat, oatmeal, peas, beans, &c., or their equivalents. Six ounces of dry bread and two ounces of mild cheese will afford all the elements of nutrition in amply sufficient quantity. Add a bunch of grapes, a baked apple, a few strawberries, and one may live luxuriously." Oh, no! I thought. Not cheese and baked apples! Being a person whose lips have not touched cooked food in over a decade, you can imagine how I felt. So I developed a better plan. What is Quantum Eating ? 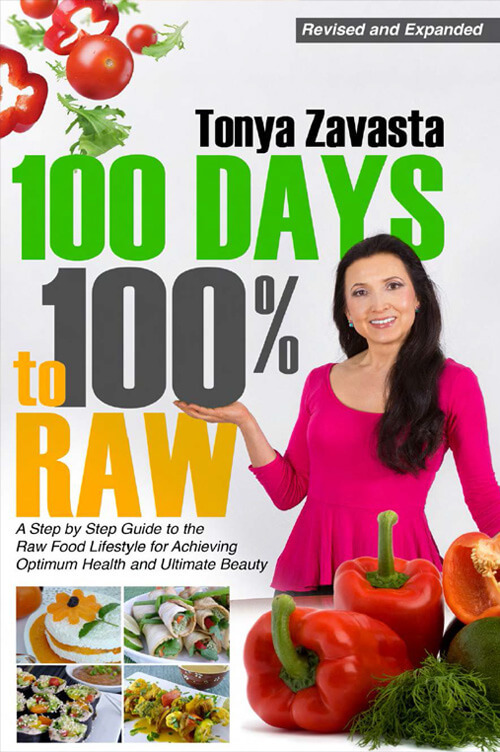 You eat 100 % raw food diet, twice per day and only in the first part of the day. All meals are consumed within an 8-hour period. In my book "Quantum Eating," I provide, step by step, the evidence as to why this way of eating provides the utmost in health and anti-aging benefits.